The Girl With The Dragon Tattoo was the first and currently only book out of the popular Millennium series to have an American film release. Now, Sony has taken up the reins to continue the series through film, starting with the fourth book, The Girl In The Spider’s Web. Earlier this year, we announced that Claire Foy had joined the cast as Lisbeth Salander, one of the main protagonists of the film. Her costars seem to be shaping up as well, as we have finally received news of a new casting through Variety. 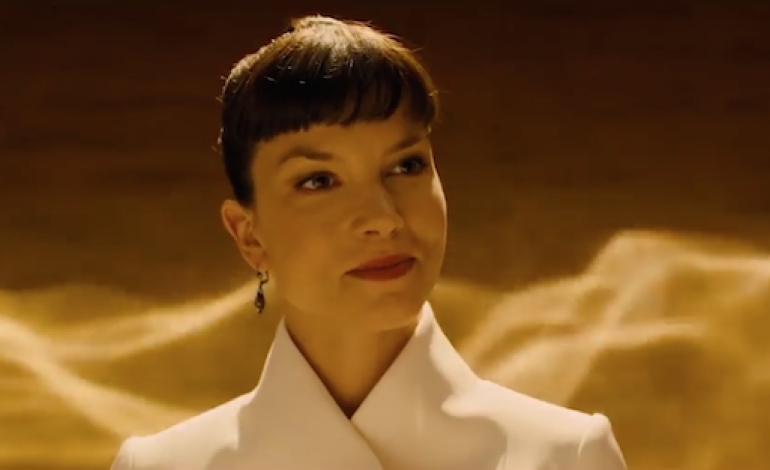 Sylvia Hoeks, a fairly new actress known for her role as Luv in Blade Runner 2049, is reportedly signing onto the film. In an interesting twist, her role in the film will be the sister of Salander. Though they were both born at the same time, it looks like they will be vastly different characters. Hoeks’ role will be more antagonistic than familial, which will add plenty of tension to the film. Previously, the first three books were released as Swedish films. There, Noomi Rapace was the first actress to tackle the iconic role of Salander. However, The Girl in the Spider’s Web has yet to receive an adaptation, at least until now. The original author Stieg Larsson unfortunately passed away thirteen years ago, but his series has continued throughout the years, allowing the source material of this film to reach pop culture despite his lack of involvement in the full franchise. Fede Alvarez will be the director this time around with a script by Steven Knight. The film is set to release on October 19th, 2018.